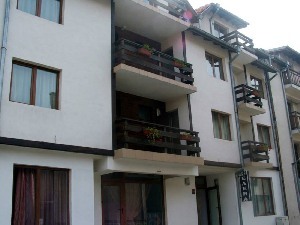 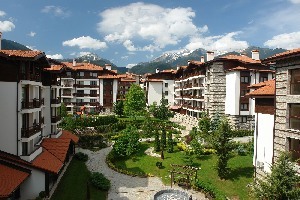 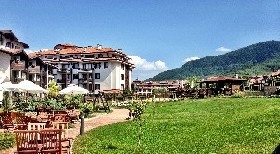 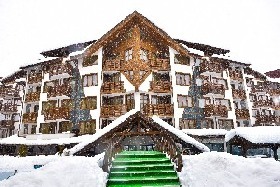 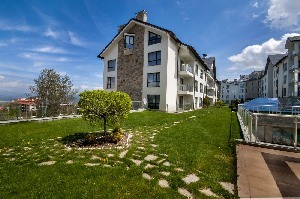 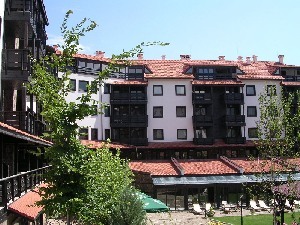 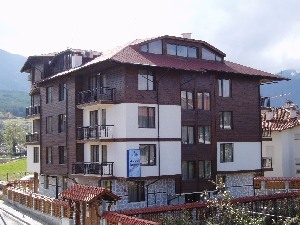 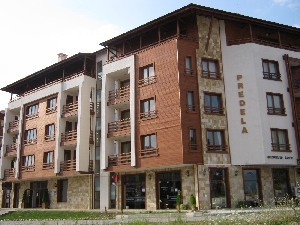 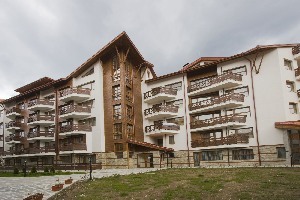 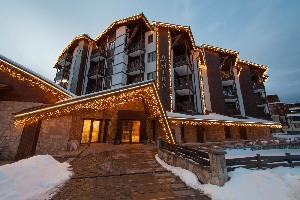 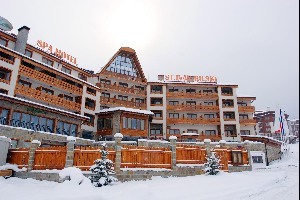 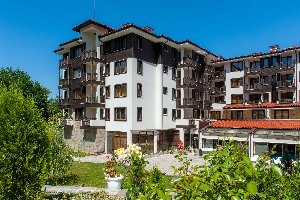 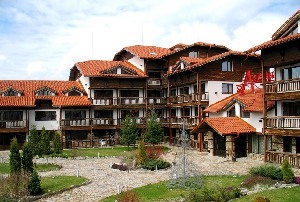 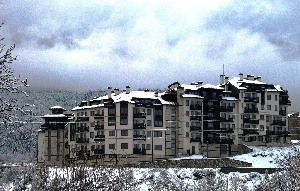 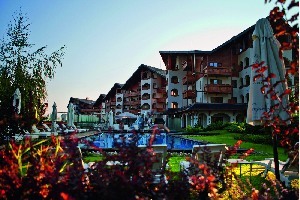 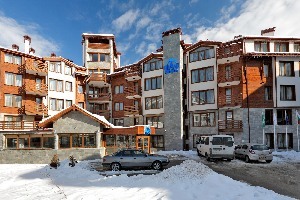 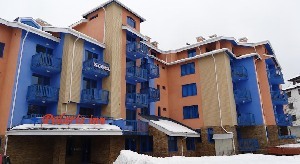 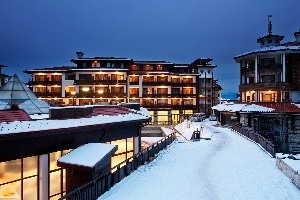 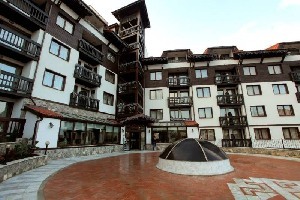 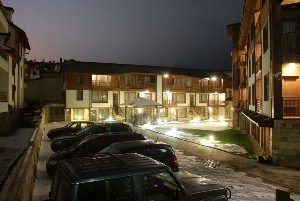 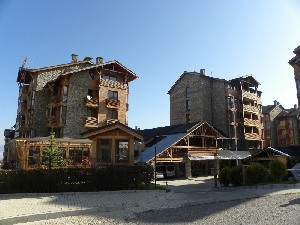 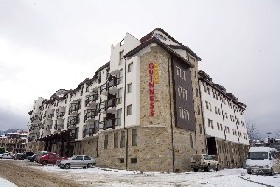 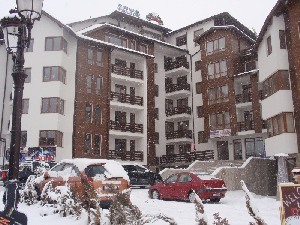 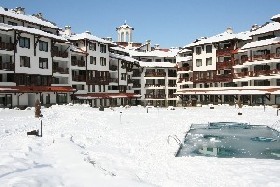 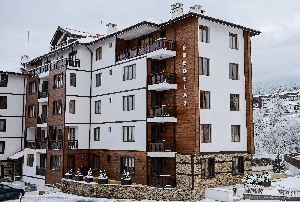 Maria-Antoaneta Residence Bansko LOCATION: 100 m to Gondola, in between Royal Towers and Regnum apartments HOTEL CAPACITY: on a territory of 6000 sq.m, the complex offers 5 buildings with lifts in each one, 200 double rooms, studios and apartments. 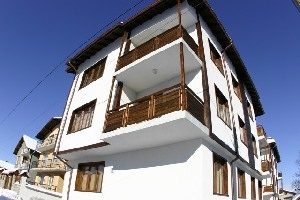 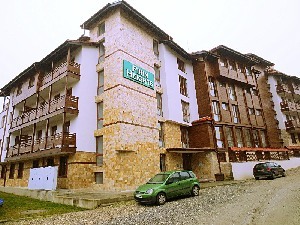 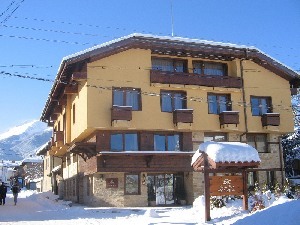 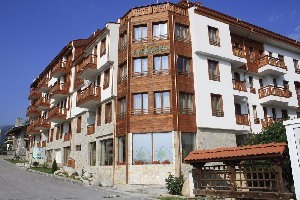 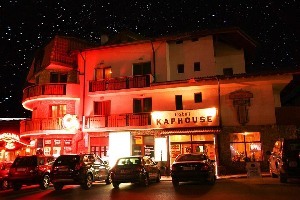 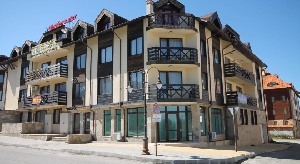 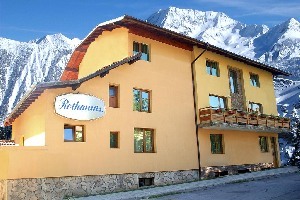 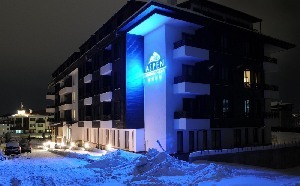 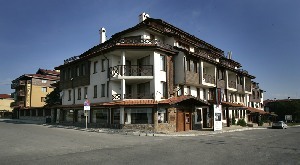 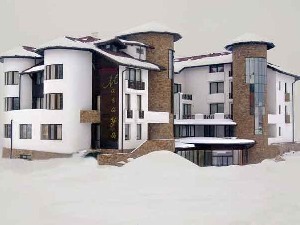 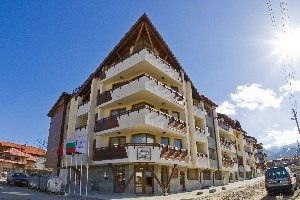 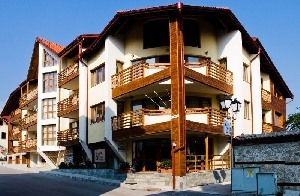 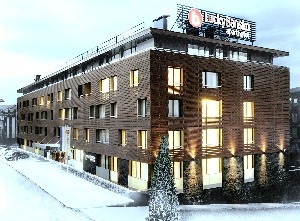 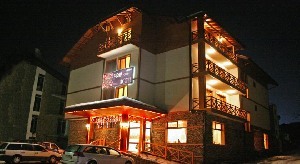 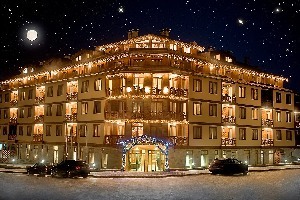 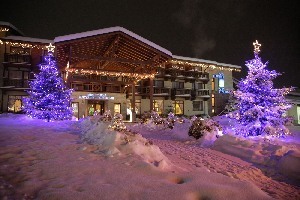 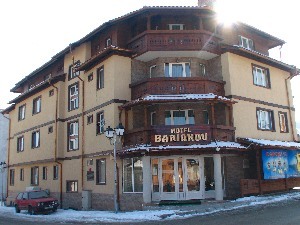 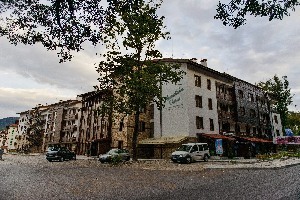 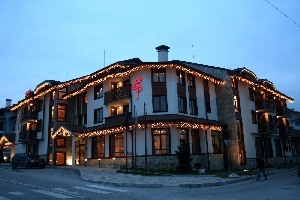 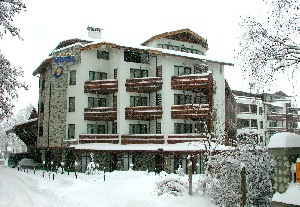 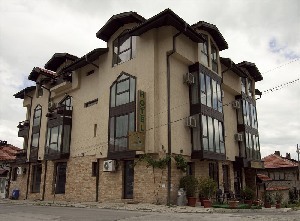 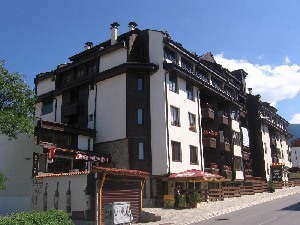 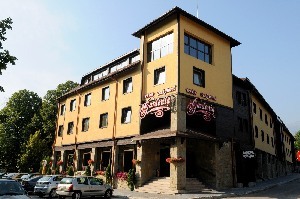 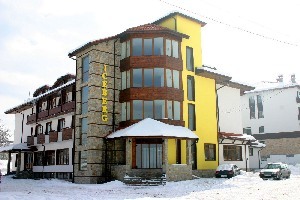 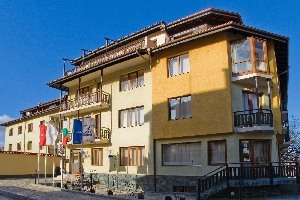 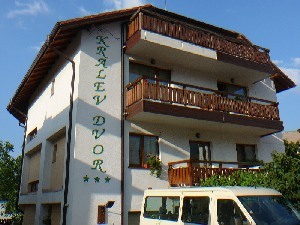 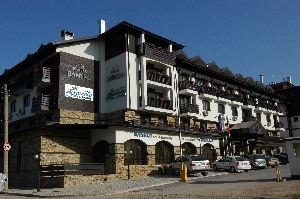 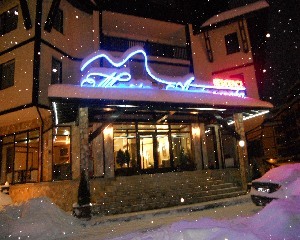 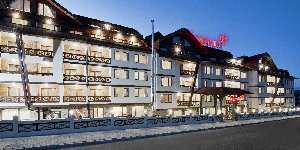 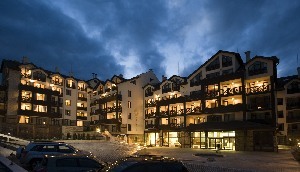 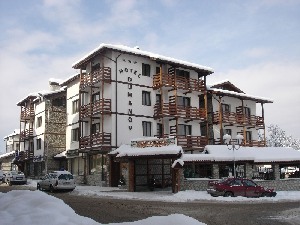 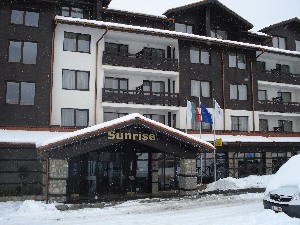 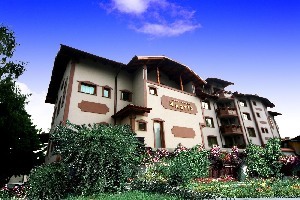 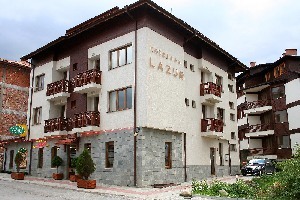 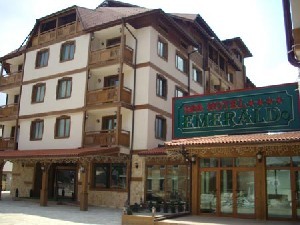 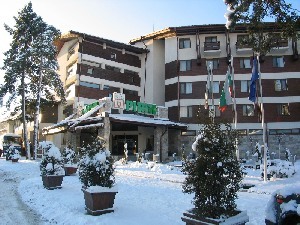 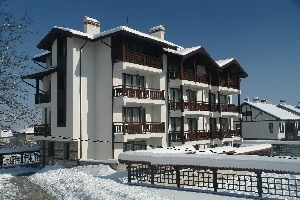 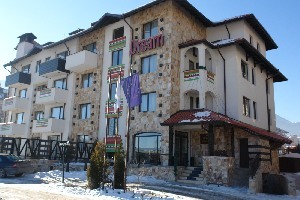 Aparthotel Belmont Bansko LOCATION: at about 600 m from Gondola lift station HOTEL CAPACITY: 5 floors, 74 apartments, lift HOTEL FACILITIES: lobby bar, WiFi, SPA center, indoor swimming pool. 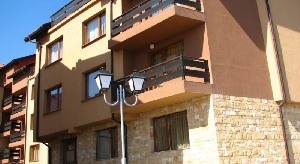 STUDIO: one unit with a double bed and kitchen corner. 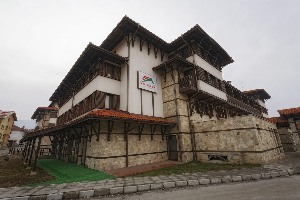 The newest Bulgarian mountain resort, is situated at the North – Eastern foothills of the majestic Pirin Mountains, just 160 km. 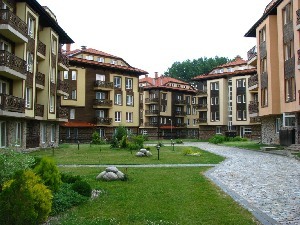 from Sofia. 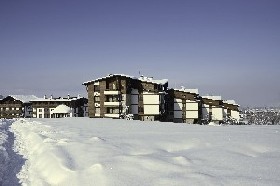 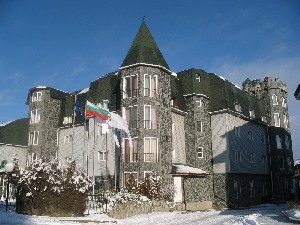 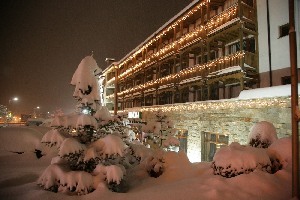 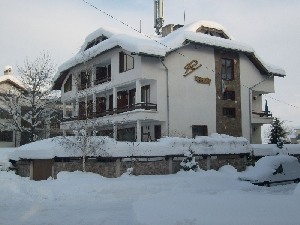 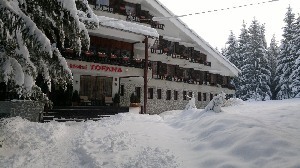 This small open – air museum town, with its authentic folklore and the Bulgarian National Revival houses, with its abundance of luxury and middle – class hotels, with a very modern and efficient infrastructure and a state of the art lift system, with its newest ski tracks, is featured as Eastern Europe’s best skiing resort. 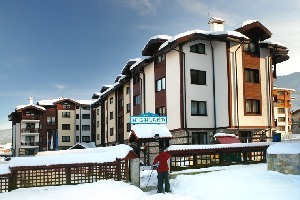 The ski center has 70 km of marked ski runs and 9 km of cross country tracks that have been extensively cultivated. 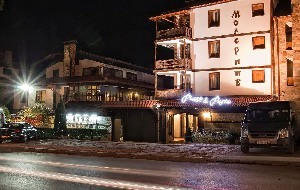 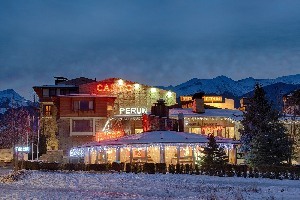 Bansko offers its guests 16 km ski runs starting from Todorka Peak at the highest point of the ski center, all the way to base station of the Gondola lift at the outskirts of the town; this track is floodlighted and the entire facility is covered by snow cannons. 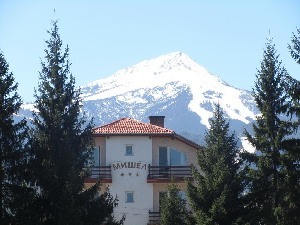 In less than 20 minutes the fast Gondola lift ( next to hotel Kempinski) will take you to the Bansko ski center, which is situated approximately 12 km away from town. 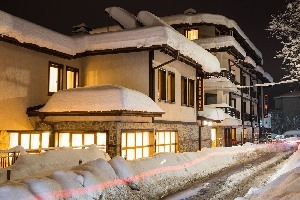 For those who do not have own ski or snowboard gear, you can pre – book from more than 2200 pairs of carving ski and more than 200 snowboards, the latest models by Atomic, Rossignol and Salomon. 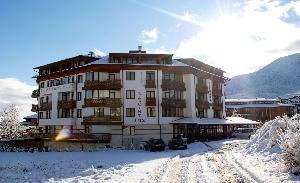 Children aged 4 up are welcome to join the Junior Ski Club. 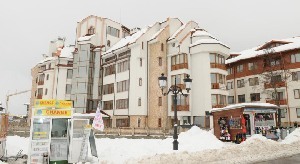 Each child will get a ski school diploma at the end of the week. 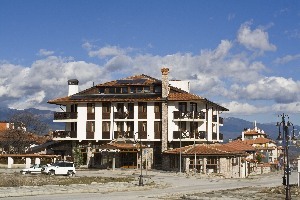 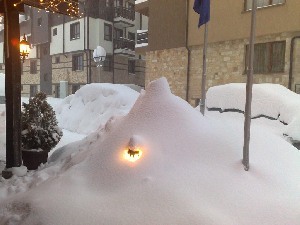 BEGINNERS: Bansko is a great place for first time skiers and snowboarders . 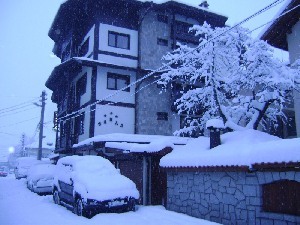 Tracks for the beginners are carefully designed to the last odds, and ends. 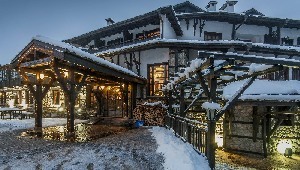 Your first steps in these enchanting winter sports are going to be a great pleasure, along with the help of the experienced multi – lingual ski- instructors. 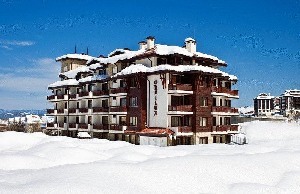 ADVANCED: The challenging red runs will keep busy those experts, who prefer the steep Pirin slopes. 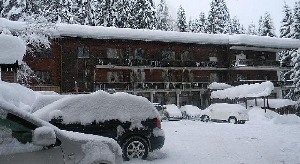 Most of the tracks are marked. 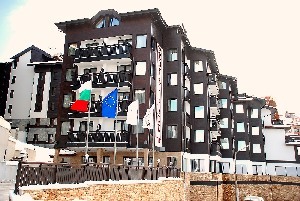 More advanced skiers will especially enjoy the Alberto Tomba black run, challenging even the professional skiers to their limits! 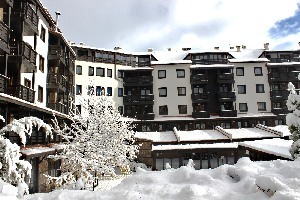 You can discover the magnificent and untouched places while trying off – the- tracks powder skiing, also available locally. 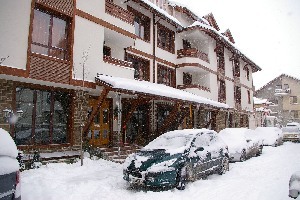 Don’t forget to check if your insurance covers this risk. 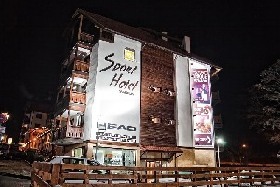 SNOWBOARDING: Another prominent assembly site for fans of the extreme is the snowboard fun-park area facility (Bansko fun-park), covering all the international standards and offering lots of challenges to the fans of extreme skiing and snowboarding: half – pipe, 2 tracks with different levels of difficulty and total length of 600 m and many more. 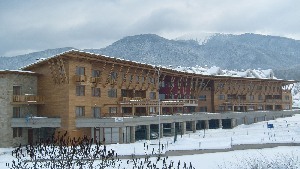 Snowboard championships are held every year, including the round of Burton European competition. 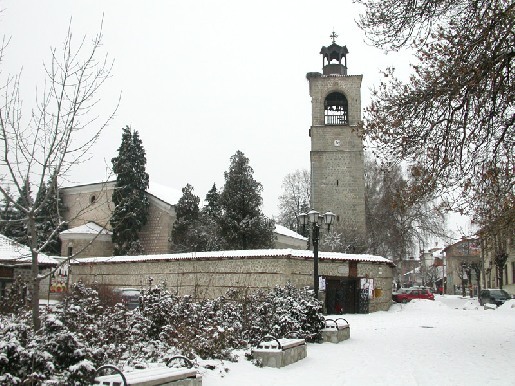 APRES – SKI: If you still have energy left after a day on the slopes why not head to the center of the town, easily finding your way by looking at the bell-tower of the St Trinity church. 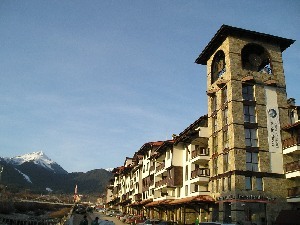 Bansko could be crossed within several minutes, but it is better not to hurry, to feel the spirit of this old , unique town with the abundance of historical, architectural, and cultural monuments. 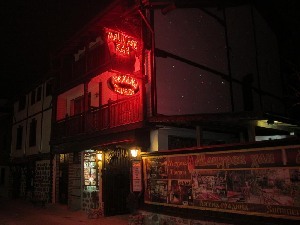 You will miss hours while strolling in the old town with it is numerous mechanas, discos, and cafes. 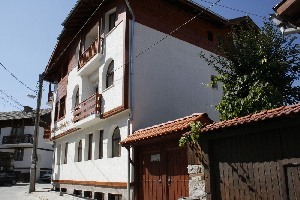 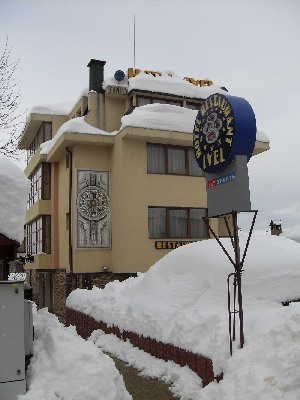 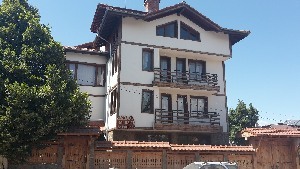 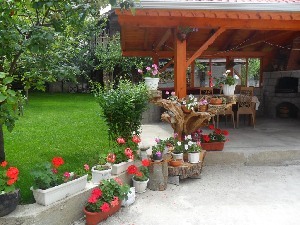 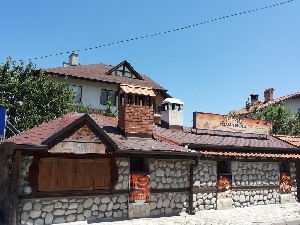 Don’t miss to visit a Bansko house, to taste the wonderful Rhodopean cuisine, to listen to the beautiful Bansko songs, and to enjoy the warm and relaxing atmosphere. 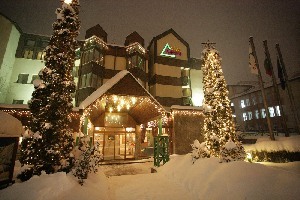 And, if you don’t mind having fun all night long, you may skating in the ice-ring in front of the discotheque. 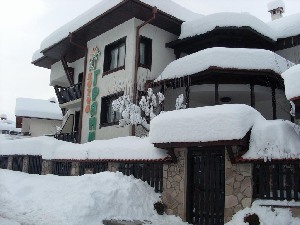 Children activities: Junior Ski Club, kids 4 and up.